His first adventure consisted of the search for a rare record; his second the search for a lost child. Specifically the child of Valerian, lead singer of a great rock band of the 1960s, who hanged herself in mysterious circumstances after the boy's abduction. 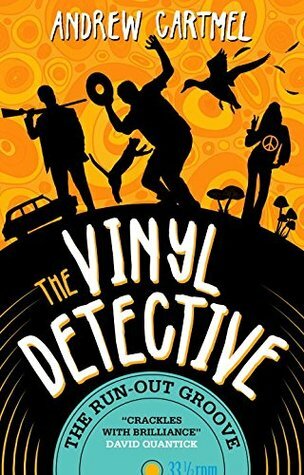 The second in a trilogy, The Vinyl Detective - The Run-Out Groove, is another well written, laugh out loud (well, I did) confident offering from Andrew Cartmel. Thrust back into the world of the Vinyl Detective (name of the character is, as yet, not revealed - which must be quite tricky for the author to work around!) I did wonder how similar the storyline would be to the first, given essentially at the beginning the protagonist was after another rare record. I need not have worried, it is vastly different and again, despite the humour running throughout it is actually a serious plot. Packed with another set of punchy characters, I was glad to see the return of some others, namely Nevada, Tinkler, Stinky and Fanny and Turk (the cats) and to travel around the rocker scene of past era's in the search for the truth about wild child Valerian. We are given a colourful history of the women in question via people who were close to the singer, and discover some uncomfortable truths about her family along the way. Of course, when the truth is somewhat misty, it is usually so for a reason and the Vinyl Detective and Co quickly discover there is someone that wishes for it to remain that way. Not quite sure if they are in 'Paranoia Heights' after their last dramatic escapade, the gang must try and determine who they can trust, if anyone. 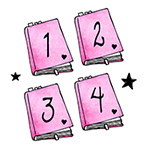 Although it didn't have me quite as 'on the edge of my seat' as book number one, I did thoroughly enjoy book number two and would again highly recommend it. I also learned what, exactly, a Run-Out Groove is. The Vinyl Detective Written in Dead Wax is available NOW. The Vinyl Detective The Run-Out Groove is out on 9th May 2017. The Vinyl Detective Victory Disc is out May 2018.